Additionally, there are others who have chosen that lifestyle because they feel that eating vegan or vegetarian foods are healthier. That is actually not true, as lean meats are loaded with important nutrients and minerals that the body needs. They are getting fatty meats, fried meats and smoked meats confused with lean grilled meats. Either way, there are so many people who have decided to go this route for their own reasons. And, the truth is, these people could be missing out on key nutrients that the body needs by not consuming animal products and animal byproducts. This can be even more so problematic when couples are trying to get pregnant- as well as being pregnant. If these individuals are not getting the right amount of nutrients because of their chosen lifestyle, then they will surely run into fertility problems. And, if they end up achieving a pregnancy, then their unborn babies could be missing out on important nutrients as well. However, the good news is, if you are a vegan or vegetarian, you can still get the nutrients you need. You just need to do some extra research on how to make sure you are getting what your body needs in order to not only conceive but to carry a healthy pregnancy to term. You will also need to prepare yourself for the fact that you will need to take in more supplements. However, before we go into that too much, let’s go into the differences between a vegan and a vegetarian. A vegetarian is someone who will not eat meat at all cost, however, they will still eat animal byproducts like dairy, cheese, eggs, or even jello, as jello is made out of pork-related by products. In fact, some vegetarians will only stay away from red meat, pork, poultry, and gamey meats- but will still consume fish and seafood in general. This group of vegetarians are called pescetarians. A vegan is someone who not only does not eat meat but stays away from all animal by-products including eggs, dairy, cheese, jello, and yes, definitely fish. And again, meat, eggs and dairy have so many important nutrients and minerals that these individuals are missing out on while sticking to a vegan (or less so, a vegetarian diet). So therefore, this is why it is crucial for vegans and vegetarians to find out how they are able to get their required nutrients in other ways- especially while they are trying to conceive- and will need to continue with using these tips after conception has happened in order to carry a healthy pregnancy. Now what we are going to do is break down the important nutrients and minerals that are needed in order to help boost with fertility that vegetarians and vegans need to make sure they are getting. These tips are going to help those who have chosen this lifestyle to conceive quicker and have a healthy pregnancy. 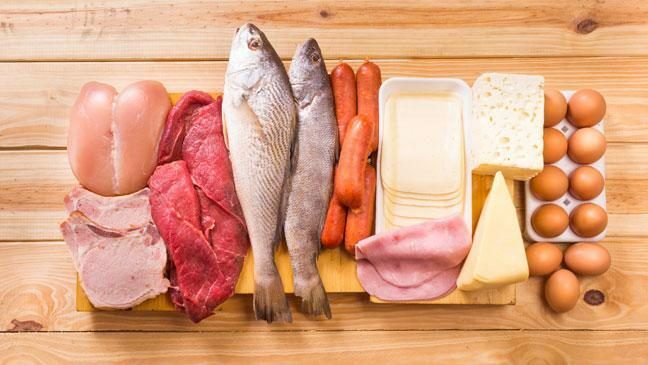 The fact is in order to sustain and keep building tissues, you need protein! You need that to maintain good fertility heath, and for your unborn baby. Protein usually does come from animal products and animal byproducts. However, the good news is that you can get plenty of protein from plants as well. 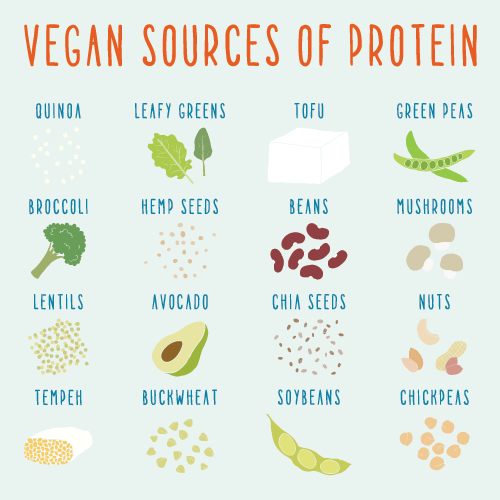 Therefore, vegans can get their protein from legumes and beans which include kidney beans, lentils, chickpeas, lima beans, nuts, seeds, and powdered plant protein from fermented amaranth, seeds, peas and hemp. Vegetarians can get their protein from eggs and Greek yogurt. And for the pescetarians, they can get their protein from fish, as long as they are low in mercury levels. Salmon, shrimp, trout and halibut are good choices. Stay away from swordfish, shark meat, King mackerel, and tuna steaks. The lack of iron is a problem that many vegans and vegetarians face, and the lack of iron is responsible for anemia which means poor egg and sperm health. That means both vegans and vegetarians need to look into other sources that are rich in iron. Fortunately, plenty of plant-based foods are rich in this important mineral. Foods such as dark leafy greens, legumes and beans, strap molasses, beets and dried fruits like raisins and apricots are rich in iron. Just be careful not to eat too many dried fruits because they are loaded with sugar. Both men and women who have chosen to live these lifestyles need to look into getting iron supplements as well. Because Vitamin C mostly comes from berries, citrus fruits, tomatoes, Brussel sprouts, cabbage and peppers, vegetarians and vegans are not usually short on Vitamin C. However, they will need to take in extra vitamin C because that helps absorb iron. Vitamin C is crucial for building strong tissues and strengthening the immune system. The Lack Of B-Vitamins Will Be Problematic. Vegans and vegetarians are going to be skimping out on B Vitamins since they do not eat meat (or animal byproducts as well if they are vegan). In fact, B12, is crucial for men to have enough of in order to maintain excellent sperm health, and it is important for women in take in because it not only helps with proper ovulation, but it helps keep the lining thick in the uterus so the embryo can implant properly. The unfortunate thing is that most animal products and byproducts contain plenty of B12- and this vitamin is crucial for fertility. That means, vegans will have to not only take B12 supplements, but they will have to eat more of fortified nutritional yeast and cereals, blue green algae, barley grass and almond or hemp milk. Vegetarians can get B12 from eggs and dairy products. They will also need to take supplements as well. A lot of these foods are also rich in B6 which is also important for fertility. The foods that are rich in B6 vitamins are potatoes, non-citrus fruits, and starchy vegetables like squash and pumpkin, and yams have plenty of this vitamin. The vitamin B6 is also important for pregnant women because it helps ease morning sickness symptoms. That Folic Acid Is Crucial To Take When You Are Trying To Conceive And After Pregnancy. Both men and women are instructed to take folic acid before trying to conceive whether they are vegans, vegetarians or not. Women need at least 400 mcg and men need at least 700 mcg. It is important to help maintain the health of the sperm and the eggs, and it reduces the chances of certain birth defects as well like spinal bifida after a pregnancy has been achieved. That means foods such as dark leafy greens, beans, lentils, cornmeal and fortified cereals, breads and pastas are rich in folic acid. So if the aspiring parents take the recommended folic acid supplements in addition to eating these foods, then they will get what they need. That Calcium Is Important For The Bones. Since vegans won’t touch dairy products, then they have to not only take calcium supplements but they need to eat foods that are rich in this important mineral. Women need to take in more calcium than men to not only strengthen their reproductive system and bone health- but they need it for their unborn babies so they develop strong bones. 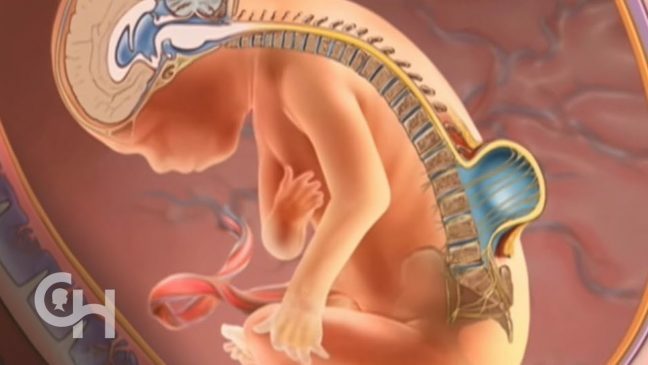 And, for pregnant women that don’t get enough calcium in their diets are more at risk for developing osteoperosis because the baby will take all of the calcium needed and leave mom with not much. That is the last thing you want. Vegetarians that consume dairy won’t run into this issue. However, vegans will. And the good news is that there are sources that can give you the calcium that is needed. Whole grains, lark leafy greens, organic carrot juice, blackstrap molasses, white beans, figs, root vegetables, and nuts, and seeds are rich in calcium. And, for those who don’t like milk or dairy products even though they are not vegetarians can follow these tips as well. Both men and women need zinc for their reproductive health, sperm production, hormone regulation and libido. Pescetarians will not have a problem since oysters are rich in zinc. 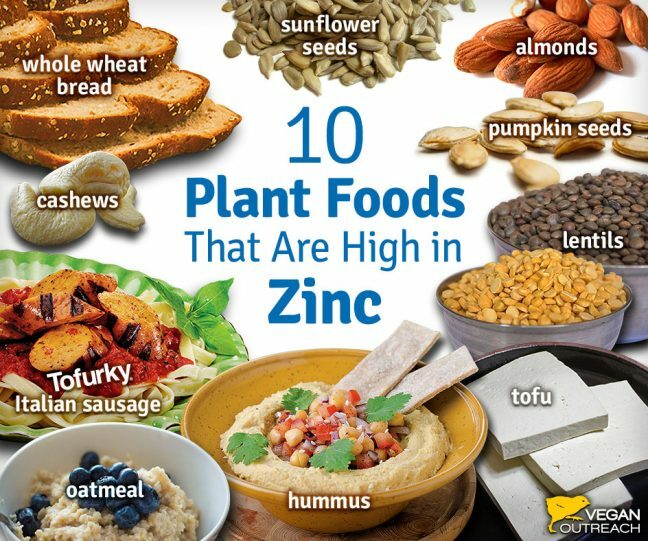 However, it is not only crucial to take a zinc supplement, but it is also important for both men and women to eat the foods that are rich in zinc. 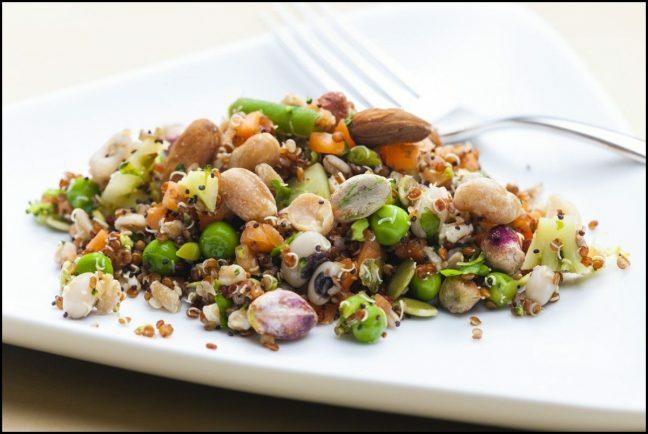 Sesame seeds, raw pumpkin seeds, beans, legumes, walnuts, nuts in general, wheat germ, nutritional yeast, and tahini are excellent sources to get zinc. Be sure to get plenty of those! That Omega 3 Is Crucial. 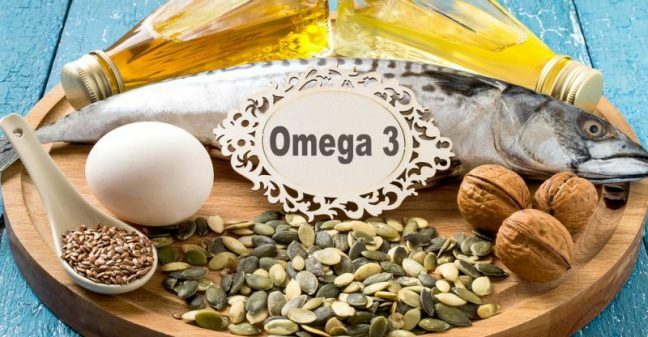 Women especially need to make sure they are getting plenty of the Omega 3 fatty acid because not only is it important to help with hormone health and ovulation, but once the pregnancy has been achieved, it is important for the unborn baby’s brain development. Foods that are rich in Omega 3 fatty acids that vegans and vegetarians that are not pescatarians to consume are avocados, chia seeds, flax seeds, perilla oil, hemp seeds, yams, sesame seeds and tahini. Supplements are also important to take that have DHA for everyone regardless of whether they eat animal products or byproducts. Pescatarians can most definitely get their Omega 3 fatty acids in salmon and trout. Those types of fish are safe to consume as they are rich in that important fatty acid as they are low in mercury levels. Eggs also have Omega 3 fatty acids. That D3 Is A Must-Have! The D Vitamin is important for fertility in general, and that means it is crucial for most people, whether they are vegans, vegetarians or not to take supplements. In fact, a good daily dosage of Vitamin D for fertility is 2000 IU. You can also get this important vitamin from mushrooms and lichen sources. 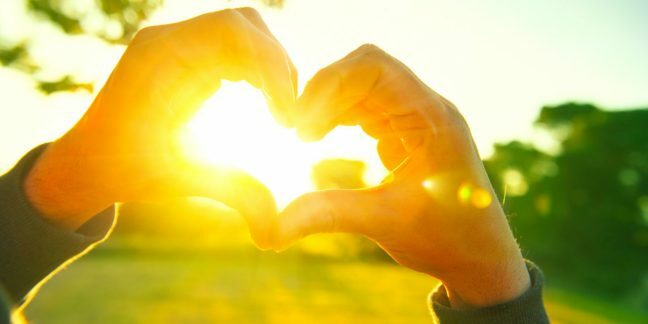 The sun is a great source as you know, but spending too much time in the sun is not a good idea due to the UV rays. And, vegetarians and pescatarians that eat eggs and dairy can also get a good amount of this important vitamin through eggs and dairy. Stay Far Away From Soy-Based Products! If you are looking for meat substitutes then you then you have to be very careful. Most soy-based products are going to harm your fertility. However, miso and tempeh are fine to have in moderation as they are fermented soy products. 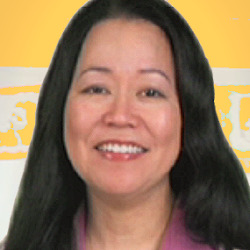 The non-fermented soy-based products like tofu, soy milk, soy patties or hot dogs are a big no-no. 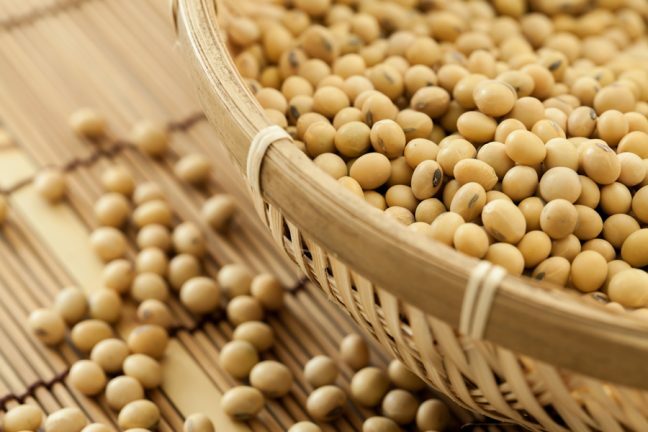 That is because these foods contain concentrated soy isoflavones which can really mess up your hormonal levels and prevent ovulation from happening. It can also have a negative impact on the lining of the uterus which will make implantation impossible. It can also have a negative impact on proper thyroid function which will also mess up female fertility. There you have it. If you are a vegetarian or a vegan, you can find ways quite easily to get the nutrients and vitamins needed to increase the chances of a pregnancy happening, and to help maintain a healthy pregnancy. And that also means to stay away from junk food like candies, pastries and refined sugars. That will mess up your fertility in so many ways. 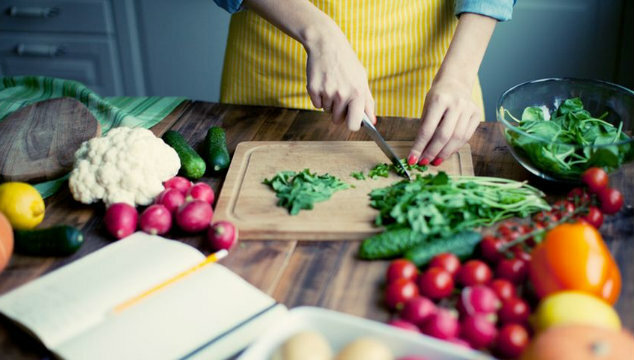 It is also highly recommended to visit a nutritionist that specializes in fertility as well as in a vegan or vegetarian diet in order to get even more tips. You will also need to know the amount of food to eat for your needs as well. And, the best of luck to you!